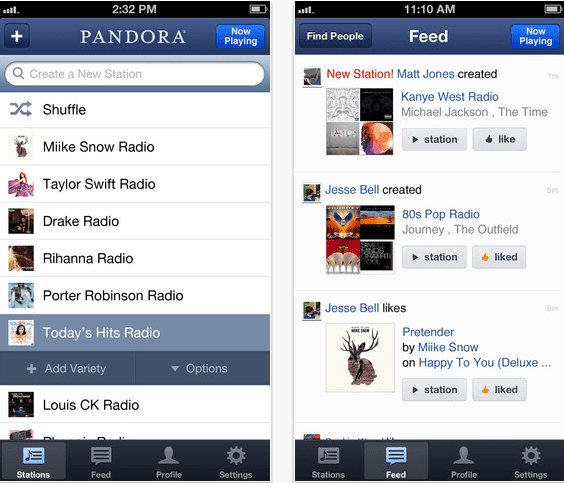 Besides Spotify and Myspace, Pandora is now one of the streaming music services in demand in the United States. The company announced today that as of March 1 will begin implementing a restriction on users making use of your application. Those who have hitherto enjoyed in their smartphones and tablets unlimited streaming (with ads) Pandora suffer a cut and may only use the service for a total of 40 hours each month. Explains Joe Kennedy, CEO of Pandora, this decision was due to increased costs of copyright, which have risen 25% over the past three years. Again, the record labels to make things difficult music distribution services prevailing in the XXI century. However, Kennedy believes that this restriction will hurt only 4% of the active users, since the average consumer is streaming music 20 hours per person per month. When a user reaches the limit of 40 hours per month, will have the option to buy-in on the app, of 0.99 euros, to reset the counter. This new limit on the Pandora application not affect the web version. Given this, we doubt that Spotify can achieve advantages for its users in the coming months. The article simply Pandora streaming music in your app to 40 hours per month has been originally published in News iPhone .